ELV has sung the praises of L’Atelier de Joel Robuchon so many times (KNPR, KNPR, JohnMariani.com, KLAS TV et al), another rave review seems redundant. It was our Restaurant of the Year in 2006, and Chef Steve Benjamin, Pastry Chef Kamel Guechida (Bon Appetit Magazine, KNPR and KLAS TV’s Pastry Chef of the Year for 2007), along with General Manager Emmanuel Cornet, run such a tight ship that updating any of those past reviews is unnecessary. But we cruised by there last week and were as impressed as ever by the food, so we thought we’d feature some tasty snaps to inspire some serious salivatory stimulation. It’s still a treat to watch the chefs work; although I’ve always wished the stoves, plancha and expediting station were a bit closer to the counter, so you could hear as well as see the action. Also fun is listening to the multilingual staff discuss the dishes with novices and Francophilic food fanatics alike. The sushi-bar like seating ensures you’ll get to know your neighbors, whether you want to or not (I was seated next to a foreign-born fellow who timed his nose blowing to coincide exactly between the stabbing of my food and the bringing of said morsel to mouth.) Even with that unappetizing accoutrement, the food elicited oohs and ahhs from The Official Number One and Number Two Sons of ELV. The more typical reaction of diners to the side-by-side seating is to get so cozy that you’ll be tempted to ask for a bite (not good form), or unconsciously dip into your neighbors gazpacho (even worse). Whether its the design, the seating or the open kitchen, there’s an energy and a vibe about L’Atelier that is sui generis. About the only thing we don’t like is the wine list. It’s mainly French (mais oui! ), and well-matched to the food (natch), but not for the timid. Finding a bottle for under $100 is about as easy as finding a Yankee fan at a Redsox game. Yes, it’s nice to know some things don’t change. L’Atelier is still the best restaurant in town that mere mortals can afford,* and whenever ELV wants a lesson in how great restaurant food is supposed to taste, he will grudgingly make the unpleasant trek through the unpleasant parking facilities of the MGM (not to mention the hike to the restaurant once you get inside), to get a taste of whatever Steve Benjamin, Kamel Guechida and their crews are whipping up. I don’t know if I I get it. All in all, especially when the attitude of the staff member that initially attended to our seating arrangements and subsequently refused to allow us to occupy a table for 4 people that was clearly vacant we will not be recommending the restaurant to any of our colleagues. The final straw, after being treated rudely by the front of house staff and refused seating as mentioned above, we were told that there was no cheese! No cheese in a top line French restaurant!? By this stage we were all so frustrated and disappointed with the experience that we simply left after paying. I had in fact asked to speak to the Manager of the restaurant when the check arrived and we waited 15 minutes for the Manager to appear… to no avail. The entire experience was most unsatisfactory, especially as we attended Gary Danko in San Francisco the very next week.. This was a fantastic dining experience and we were well treated by courteous and professional staff. Similar experience was noted at Delfina in the Mission district. It is with regret that I write this letter to you. The night was somewhat ruined by the experience and we are not planning to return. This letter just goes to show that you can’t please everyone. 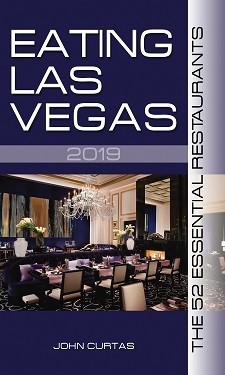 We just returned from Vegas and enjoyed everything about our experience with this restaurant. Four of us ate at the bar Saturday night and the entire experience was fabulous…from the first taste to the last. Even with the smaller pre fixe meal, we were too full at the end to eat ALL of the tarts. A pity! We ate leisurely, two hours, and the staff was alert to the pace, and we never felt hurried. All in all…one of our BEST dining experiences.